It’s that time again.Resolutions. That time when everyone intends to be fitter, thinner, healthier, busier etc. I do it my way, well why not, look how well it worked for Frank! In a week many of us will have given up or at least forgotten. 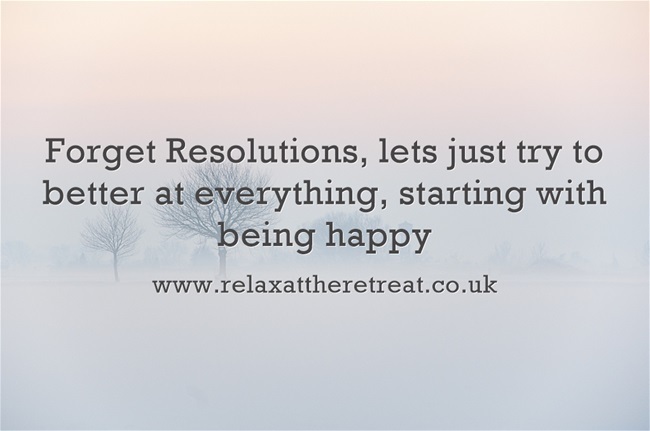 I decided a few years ago not to make a resolution, it was setting myself up to fail. 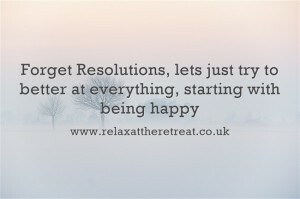 Instead I resolve each new year to simply be a little bit better at everything. Be a better friend, be better at exercising, eat better food that’s better for my health. It’s a very simple resolution and nearly impossible to fail at or forget. You can better at everything, it doesn’t have to be perfect, just better than before, no stress, no anxiety, just a little bit better! My second idea was my jar of happiness. 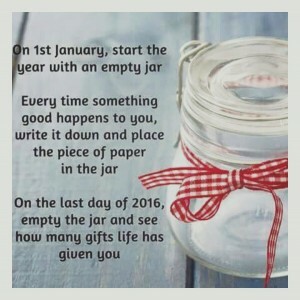 At the start of each year I have an empty jar. Each time something good happens, I write it on a slip of paper and pop it in my jar. It could be something small, like a small child waving at me from a bus window that made me smile or something bigger like my son’s first steps. Whatever it is, it simply had to have made me happy. 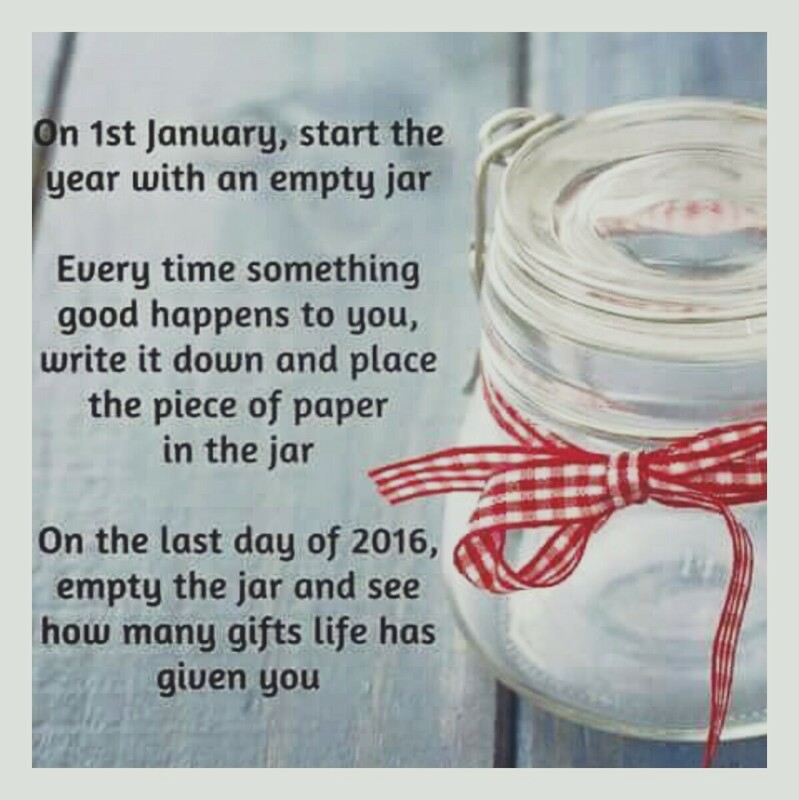 At the end of the year I open my jar, usually accompanied by a cup of tea and something yummy, and I read through my year of happiness. It’s amazing what you forget and how it can make you smile all over again. Try it, you won’t regret it, I promise.